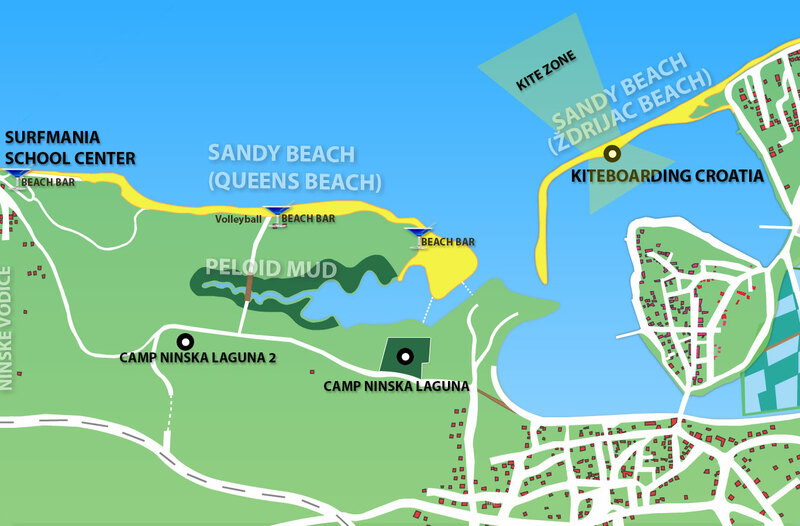 Sandy beaches in front of the camp offer perfect conditions for windsurfing and kitesurfing. The main precondition is that there is enough wind. The most frequent wind in summer is light to moderate Maestral (NW), and occasionally can blow much stronger Bura (NE) which is more frequent in spring and in winter.